Out in the desert looking for a mattress? Don’t sweat it! We know that purchasing a mattress can be stressful. After all, you spend a third of your life in bed. You want to get this one right. We also understand that with such a huge market, mattress shops are a dime a dozen and some of the products may not even be worth a dime. Here we are to the rescue. 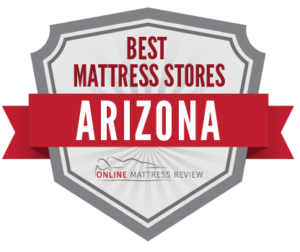 If you need to know where to find a mattress in Arizona, check out the stores we picked below. Oh, and do make it a little easier, we divided everything up into regions and combed through reviews and selected only the best reviewed shops with the most trustworthy customer service. No matter which store you choose to shop at, don’t forget to look for coupons and make sure to ask about available discounts. It’ll take some work to get the best mattress at the cheapest price. If you are looking for a mattress store near Phoenix, AZ you could try Tuft and Needle (735 Grand Ave.). Their headquarters are located in Phoenix and there is another location in Scottsdale. These mattresses are the best for comfort and come in a range of price points. Lucky you for living in Phoenix just so that you can grab one of these amazing mattresses. Sleep Source earned it’s name. If you are looking for amazing customer service and a staff that is literally the source of all mattress knowledge, then head over to Sleep Source (4848 E Cactus Rd.). Once you have your mattress picked out you’ll be sleeping better than before. You may want to set two alarms just in case! Arizona Mattress Overstock (1838 W Bell Rd.) offers no-pressure customer service to everyone who walks in the door. You will have an excellent mattress offered at a tremendous discount. If you’re looking for a quality affordable mattress for yourself and the whole family, try Arizona Mattress Overstock. Finding a mattress store in Tucson, AZ may be easier than ever. However finding the perfect mattress takes the right shop and quality customer service. You’re in luck! We have found both in a number of shops in and near Tucson. Best Mattress (4002 N Stone Ave), located up near the Catalina Foothills, is the spot to head if you are looking for a mattress in Tucson. The mattress selection includes twin, full, queens, and kings, and the customer service will make you feel like a king or queen. This is a locally owned shop with a knowledgeable staff. Check their website regularly for extra discounts! America’s Mattress of Tucson has two locations- one near Oro Valley (7881 N Oracle Rd) and one closer to downtown (2424 E Grant Rd.). Both locations offers name brands that you’ve come to recognize and a staff that really knows their stuff. If you’re looking for a mattress that fits you and your budget, try America’s Mattress of Tucson. Mattress Firm Clearance is out near Tanque Verde. Here you will find the convenient and quality customer service that Mattress Firm is famous for with discounted prices! Every wonder: Where can I find a mattress store near Flagstaff? Never fear, sleep is here! Okay, well you get our point. We want to help you get a good night’s rest and fortunately for you there are a number of quality mattress shops in Flagstaff. The Mattress Center (624 E Rte 66) is conveniently located in the heart of Flagstaff. This location is known for its quality customer service and great product. You won’t be pressured to buy but you will find a sales team member eager to pair you with the right mattress. Mattress Firm Clearance is located in Flagstaff (1405 S Plaza Way) and is a great way to find a mattress that works well for your budget. The sales team is knowledgeable and ready to make sure you find a mattress that fits you sleeping patterns and needs. If you’re still wondering where to find a mattress near Flagstaff you could take a glance through It’s A Steal (2109 E Cedar Ave.) This fun thrifty shop sells more than just mattresses and is great if you’re a bargain-hunter. You never know, you may just find the perfect mattress. Customer service is very friendly here. Mattress shops are all over the place, so if you’re looking for a new one, just pick the nearest population center and start shopping. The more people in an area, the more mattress store choices and the more competition which means better discounts. Here’s a list from highest population to lowest of cities in Arizona: Phoenix, Tucson, Mesa, Chandler, Glendale, Scottsdale, Gilbert, Tempe, Peoria, Surprise, Yuma, Avondale, Flagstaff, Goodyear, Lake Havasu City, Buckeye, Casa Grande, Sierra Vista, Maricopa and Oro Valley, AZ.